Currently in the United States, 7 million people are addicted or physically dependent to some form of opiate or prescription pain killer. Substance abuse disorders are at epidemic proportions. 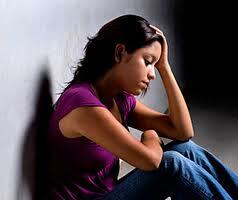 In my practice, I have seen many patients suffer with various addictions and/or other mental illnesses. Often these disorders are not adequately treated at rehabilitation and sober living programs where you can spend thousands of dollars to get well for 30 days; only to leave and relapse. Not only is this a waste of time and money but the experience of more failure leads to depression and anxiety aggravating more substance abuse. A recent study, The National Center of Addiction and Substance Abuse at Colombia University, highlights the lack of care that most American’s who seek this treatment experience. It’s not enough to detox, treatment should focus on relapse prevention. Usually this should be done in the context of an outpatient office or clinic where patients not only learn to function in their environment but also thrive. Leaving a sober living in Malibu and going back home with a few skills learned over 30 days, almost always ends in relapse. In my office as a psychiatrist, I am able to address all aspects of substance abuse including detox as well as managing other problems like anxiety, depression, mood disorders or other mental illnesses which cause people to use drugs in the first place. It is a rare person who uses and abuses narcotics in a vacuum. Most people who are suffering dependency issues are usually drug abusing in an attempt to self medicate these underlying disorders. Detoxification from all substances is usually the starting point. If there has been a history of relapse in the past, maintenance treatment is often discussed. These highly individualized treatment plans include Suboxone/buprenorphine to achieve full functioning in all aspects of your life. Usually when this goal has been attained, further sobriety and prevention of relapse can continue where medications like Vivitrol/naltrexone injectable and psychosocial support, including psychotherapy, are arranged. An essential focus of the treatment plan at this point is also treating any underlying illnesses like depression or anxiety and any debilitating symptoms like insomnia, pain, restlessness or difficulty with attention. Most rehabilitation centers or physicians who do this kind of treatment are unable to provide all these aspects of care. Setting an appointment is easy where the initial evaluation is an hour long with weekly treatment thereafter for the first 30 days. Other collateral treatment modalities are utilized including psychotherapy, drug testing, supportive groups, meditation, yoga, or anything else that promotes your wellness. Arrangements with other health care providers and medication assistance is usually for a period of 6 months or more with continued monthly psychiatric visits. In addition to saving money, patients can get well in the quickest and easiest way possible. If you're suffering with narcotic dependency, know that there is help that is effective and simple. You are not a drug addict. Addiction is treatable. One of my patients told me he liked this article today. We debated about the last sentence. Clarifying, the word ADDICT is not an IDENTITY. It is a DISEASE that is treatable. It's a Very informative article , all the information are given very clearly visit this link here for alcoholics recovery center.